I, like so many others, was captivated by THOSE WHO SAVE US. I read it in a weekend, as I found it so startling, captivating, and shocking that I just HAD to know how it ended! 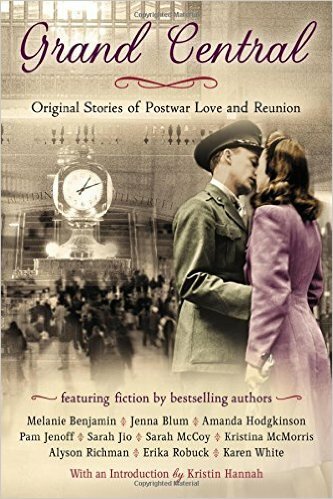 Jenna has written “2.10 novels”: her two novels, THOSE WHO SAVE US and THE STORMCHASERS and her novella “The Lucky One,” which is one of ten novellas in the postwar anthology GRAND CENTRAL. Currently Jenna is at work expanding “The Lucky One” into a full-length novel per request of her readers—and her Muse. So Jenna would especially love to know your thoughts about her novella! Stephen King’s THE STAND. I first read it as a teenager and reread it every three years or so. It’s one reason I love dystopian fiction (I’ve read a lot of it and I still think Stephen King is the master—though I also loved STATION ELEVEN). I hope to write my own delightfully dystopian novel someday. Right now I’m in rural southeast Minnesota on a writing sabbatical—in the town I call “New Heidelberg” in my novels and where my mom and grandmother were born. My house here is a 1910-era farmhouse big enough for me to have my own study, and at this moment I’m sitting in it looking out at my view of the backyard and the barn. I’m also listening to my fiancé (who has his own photography studio on the third floor) laugh at something downstairs, which makes me incredibly happy because his laugh is one of my top ten favorite sounds in the world. A writer. I’ve never wanted to be anything else. My dad was a broadcast journalist, and my earliest memories are punctuated by the sound of his typewriter. I started writing when I was 4, wrote my first (unpublished) novel at 11, and won Seventeen‘s fiction contest when I was 16, which helped me nurture the delusion that the world owed me a living as a writer and I’d be summoned to my editor’s office in NYC to drink martinis and receive a check the size of the Publisher’s Clearing House check by the time I was 21. Instead I went to college (Kenyon) and got a B.A. in English, which qualified me to make a living in food service. For about a decade I waited tables by day and wrote by night, and finally, when I was in my early 30s, I had my first novel, THOSE WHO SAVE US, published—thereby fulfilling my lifelong dream. I’m pretty OCD and need to have all the labels facing forward in the cupboards. My fiancé says I’m like the husband in “Sleeping With The Enemy” except not abusive. Have you ever tried writing in a different genre? After THE BRIDGES OF MADISON COUNTY came out and was such a smash success, I tried to write romance. I absolutely despised BRIDGES, to the point at which I had an anti-shrine to Robert Waller in my study with a note tacked to it that said YOU CAN DO BETTER THAN THIS. I thought it tremendously unfair that somebody whose writing was so awful could make so much money, and one day, tired of hearing me complain about it, my mom said, “Why don’t you try writing romance?” For about a week I spent afternoons at a bar called The Crossroads in Boston (where Richard Yates used to have dinner and drink before going back to his solitary apartment to write), and I tried to write a romance novel. I was unable to stick to the plot formula the genre requires and kept wandering off into my characters’ emotional pastures. Finally I gave up and went back to literary fiction. Hardest: making myself go sit in the chair and write instead of going to Sephora, Anthropologie, or similar. Easiest: The lack of manual labor makes it pretty easy. Aside from that, I don’t find much about writing easy. I do find certain parts of it joyous: printing out and counting the pages you wrote that day. Rereading it in print format. Realizing you made something that didn’t exist before. And being in the zone: when a scene takes over and real life is suspended. That’s magic, like levitation. Jenna Blum is the New York Times and international bestselling author of novels THOSE WHO SAVE US and THE STORMCHASERS and novella “The Lucky One” in the postwar anthology GRAND CENTRAL. Jenna is also one of Oprah’s Top 30 Women Writers. 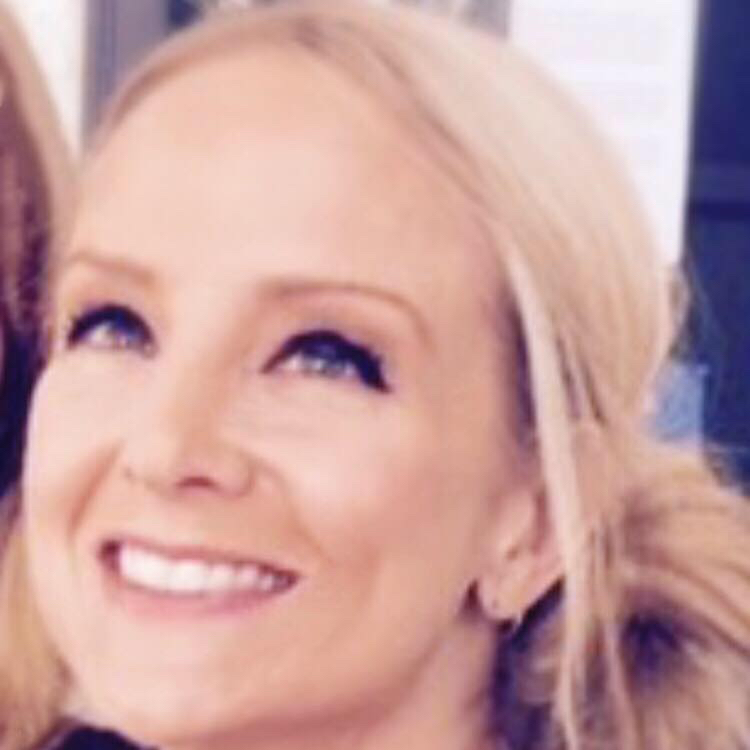 Please visit Jenna at her website, Facebook, Twitter, and Instagram. 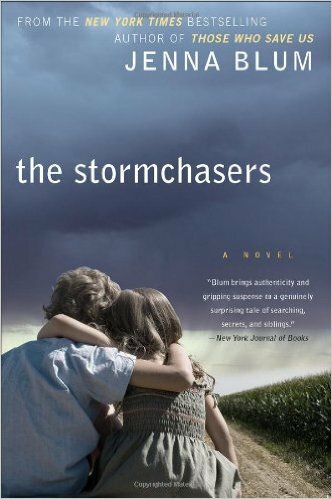 GIVEAWAY: Comment on this post by noon (EST) on Friday, January 1st, to win a copy of THE STORMCHASERS (U.S. only). Follow The Debutante Ball on Facebook and Twitter for extra entries—just mention that you did so in your comments. We’ll choose and contact the winner on Friday. Good luck! I absolutely loved this interview! I have read all 2.10 of Jenna’s books, and devoured them! I am very excited that there will be a full-length novel based in The Lucky One! Keep writing, Jenna!! Thank you, Susan! I’m thrilled you’re looking forward to an extension of The Lucky One. XO! Thank you, Rhonda! This interview was great fun for me. Happy 2016 to you too–with lots of great reading in it! X Jenna. I love getting the Deb newsletter in my Inbox… It has given me so many great reading suggestion (as well as inspiration and tips, of course). Thanks for this interview. Time to read me some Blum. Terry–ha, I love that “read me some Blum.” I hope you enjoy my 2.10 novels. And yes, it’s always inspiring getting tips and reading suggestions, isn’t it? Laurie, hello from one Blum to another! I hope you do read The Stormchasers and let me know what you think. Happy New Year with tons of good reading! Sue–you KNOW I will be looking forward to hearing what you think. I hope you get an extra kick out of the locations in The Stormchasers. I get my MN on in all my books! X Jenna. Don’t pick me, as I already have my own signed copy, but I had to leave a comment about one of my favorite authors. A note to anyone who is unfamiliar with Jenna Blum’s work, READ IT! You won’t be sorry! Nancy! XOXOXOX. What a kindness your words are. HAPPY READING IN 2016! My sister received an autographed copy of Those Who Save Us. Her daughter is a friend. My sister keeps telling me how good the book is and she read it completely in a day. I keep forgetting to put it on hold at my library until I read how much everyone else has enjoyed it. I think I’ll do that now. Thanks for the reminder. Rose, please thank your sister for me. 🙂 I hope you get a chance to read my 2.10 novels and will let me know what you think if you do! Happy 2016 and happy reading to you! Jenna is an amazing talent. This comment almost made me fall off the elliptical (with joy!). THANK YOU. Happy reading! XO Jenna.